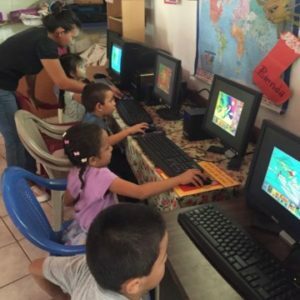 To help rural communities support their children’s progress in school, promote education through the life-span, and enrich their public school experiences, IP founded and operates education centers, or “bibliotecas,” in five small rural Salvadoran villages. 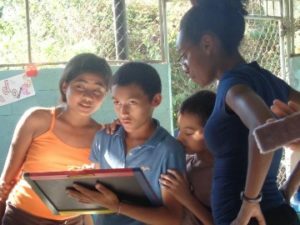 The bibliotecas are staffed by paid, local facilitators who receive monthly training. They are supported by volunteers from the community,“becados”(students who are receiving scholarships as part of IP’s scholarship program), a parent committee that works with the facilitator to plan events, and an IP donor or donor group which annually sponsors each biblioteca. The bibliotecas are also supported by IP delegates who spend their time in the community teaching and working to support community facilitators. 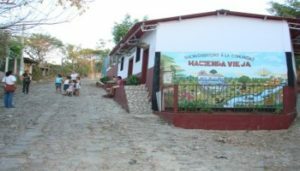 The bibliotecas are intended to be a resource for the entire community – for example books are available to be borrowed by local public schools, older students can come to the biblioteca to do homework, and adults can come to use books, materials and computers. Each biblioteca begins with at least 500 books and two computers, our goal being to end up with seven or more computers and at least 2,000 books at each site. At the biblioteca, students can receive help with homework, access to books and resource materials, and opportunities to learn on computers and the Internet where it is available. 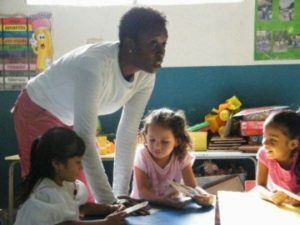 In addition, facilitators, volunteers, and IP delegates provide enrichment classes which emphasize literacy, math, computer skills, and cultural expression, as well as art, science, and history. Since we believe that children learn best through active, “hands-on” learning which is relevant and fun, all lessons are participatory activities. Each biblioteca organizes special, community-wide events to promote education throughout the community. For example, four times a year, children, youth and adults gather for community wide reading fairs. Children and adults read books to each other, children put on plays to dramatize a book that they liked, and the life stories of community elders are posted throughout the community for all to read. There are also community-wide environmental events in which children and youth collect trash and demonstrate ways to recycle materials.